NoiseFree - NF4OZ - Noise Free Brake Squeal Silencer - 4 oz. 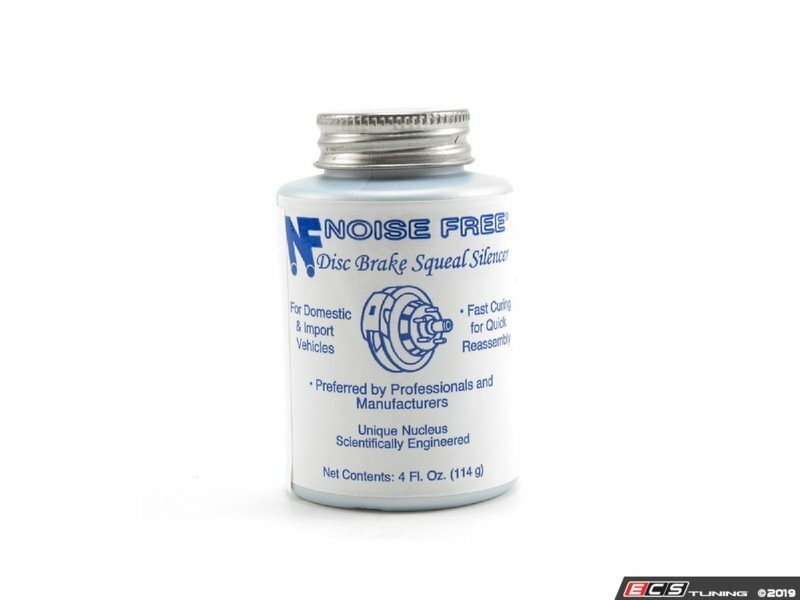 Noise Free Brake Squeal Silencer - 4 oz. Reduce that annoying brake squeal with Noise Free®. Noise Free® helps to dampen the vibrations that cause brake squeal. Noise Free® is a high heat fast setting adhesive coating designed to eliminate high frequency squeal in disc brake pads on both domestic and import vehicles. Application instructions: Stir well and apply coat of Noise Free® to entire metal back plates of inboard and out board pads, piston face and caliper contact points. Allow 12-15 minutes to cure to surface. Never apply Noise Free® to friction material or rotor. 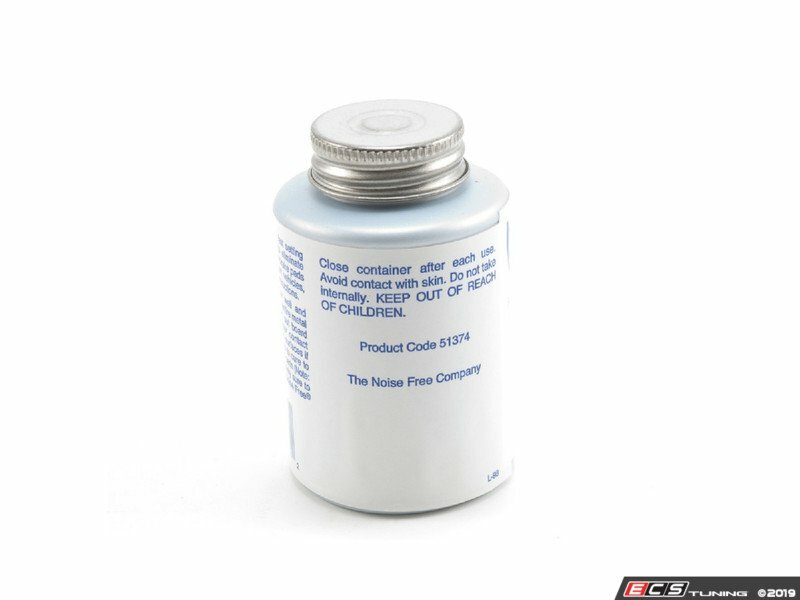 We have been using this exact product for many years and recommend using it on all MINI and BMW brake jobs as part of doing the job correctly the first time. The 4 oz. container has a built-in applicator in the cap,.